The GPS-based mobile app allows users to access real-time arrival information and gives you the tools you need to plan your transit trip while you’re on the go. Allowing the app to use your geo-location will enable it to show you the bus stops that are closest to you. Select your stop and it gives you the next three bus arrival times. Want to know where your bus is right at this very moment? 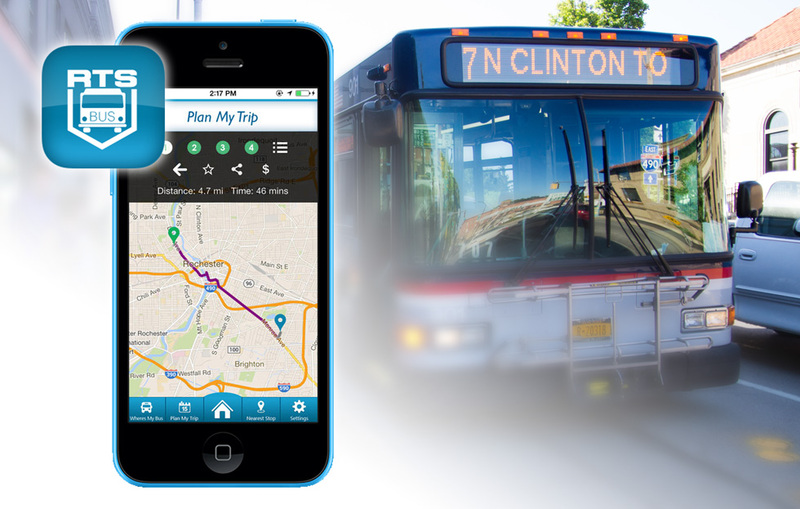 Now you can track your bus in real-time and know exactly where your bus is. Of course it also gives you the ability to plan your trip. Similar to Google Maps, you just enter your starting destination—or allow the app to pinpoint your location via GPS—and then your ending destination. The app will display the walking and transit directions to get you to your destination at the time you choose. It will also calculate the savings for the trip versus taking a car – fun for transit geeks like us. If you’re a regular rider, you can also save your favorite routes, stops and planned trips for easy access anytime. Oh, almost forgot… did I leave my hat on the bus again? No problem. The app has contact information for customer service and lost and found (I think this feature was added specifically because of me). Another great feature to note… the app will alert you to service notifications so you’re always tuned into what’s going on with your route.